In our enormous purpose built Grantham showroom we showcase a huge range of fireplaces, stoves and live displays. 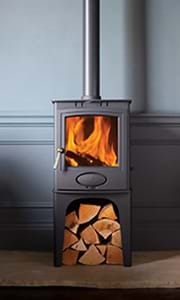 With gas and electric fireplaces and accessories too, our friendly and enthusiastic sales team are dedicated to finding you the perfect heating solution for your home. Our expert knowledge will guarantee that the most efficient solution for your home is provided. With all of our work, our Gas Safe and HEATAS registered in-house installers will complete all aspects of the installation including any building work required. Our customers can have complete confidence that our engineers, with their wealth of knowledge and experience will complete all work to the highest of standards.